Lucas Crandall is an awesome kid who loves listening to rock and pop music. His favourite band is Maroon 5. He does not like Justin Bieber. Lucas’ love for the performing arts began when he took his first musical theatre class at 5 years old. At the age of 7, Lucas started dance classes, first in hip hop, and now he continues to take classes in ballet, jazz and tap. He has also been honing his singing skills since he started performing. 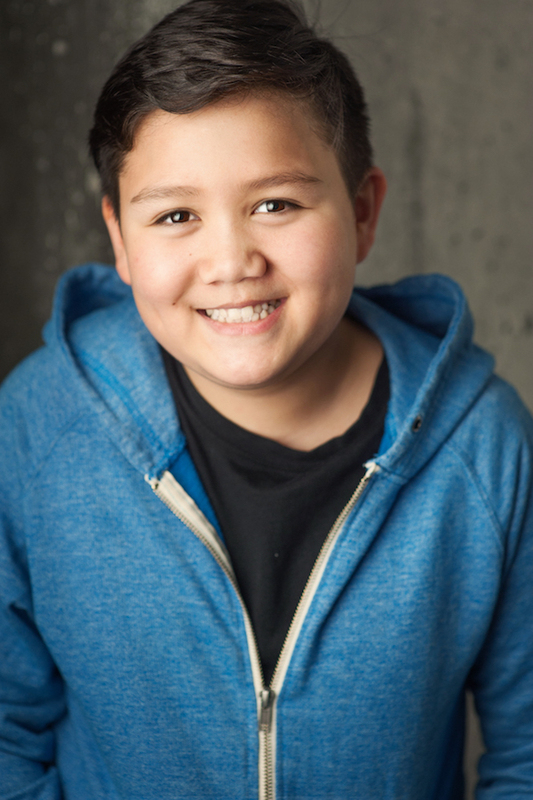 This year, Lucas started taking on-camera acting classes with Andrew McIlroy & Associates. Lucas’ favourite school subject is math (because it is all around us!). At school he also plays volleyball and participates in long jump, high jump, shot put and will be trying discus this year. He is also part of the core group of student who help produce the school shows, with responsibilities which include playwriting, casting, set, costume, lighting design and tech, performing and back stage crew. When not singing, dancing or acting, Lucas enjoys spending time with his friends and family, playing video games or board games and reading comics.